Executive Producer Mark Ruffalo adds a bit of Hollywood-heft to the professional production values of the short and impactful 25-minute “Dear Governor Brown”. Interviews with climate experts, California farmers, and families living near fracked wells explore the damage fracking and dangerous drilling cause to the climate, as well as the Golden State’s air, water, food production and public health. Viewers may be shocked to find so many of California’s treasured destinations and resources so precariously exposed and exploited. Fracking and other unsafe oil extraction processes are occurring in areas where the poor have little choice in avoiding contact with contaminated air, water and the very food grown from untested water resources. Watching the film, it is apparent that the general lack of awareness on fracking in California is complicated not only by a perception that policies and testing are place, but by the lack of a unified voice in rural and poor communities. “This powerful film is a stark reminder to Governor Jerry Brown that climate leaders don’t frack,” said Kassie Siegel, a California resident and director of the Center’s Climate Law Institute. “Fracking and dangerous drilling are making Californians sick, and extreme oil extraction poses a devastating danger to our climate. By backing fracking, Governor Brown threatens to undermine everything California is doing in the fight against global warming.” “Dear Governor Brown” was screened in Paris on December 5 as part of an educational event sponsored by the Center for Biological Diversity and Food & Water Watch, simultaneous to Governor Brown’s appearances at the United Nations climate summit. California is experiencing a severe drought while sparsely available water is being dangerously polluted. Californians live in the United States’ third-largest oil-producing state, yet there is little awareness of the extensive constant dangers and health encroachments oil production presents. “Dear Governor Brown” is an invitation to Gov. Jerry Brown to listen to the farmers, families and communities threatened by fracking in California. Founded in 2003, the Wild & Scenic Film Festival (WSFF) is January 14-18 in Nevada City and Grass Valley, California. WSFF tickets range from an all-inclusive Friends of the Yuba pass for $375, to $25 for most screening sessions, divided by evening, afternoon and morning and location. Additionally, there are film sessions suited for students and children, starting at $8 per ticket. Over 100 films will be shown, including a number of World and North American premieres. Filmmakers, activists, environmentalists and outdoor heads from all stripes will be in attendance as the streets of Nevada City and Grass Valley come alive with vibrant, engaging events—film, music, lectures, and art all blend to create an atmosphere of inspiring activism. Many events are free and open to the public. Get details at http://wildandscenicfilmfestival.org/ . Bowermaster is a noted oceans expert, award-winning journalist, author, filmmaker, adventurer and six-time grantee of the National Geographic Expeditions Council. He is the author of 11 books and producer of more than a dozen documentary films, including the celebrated New York anti-fracking film “Dear Governor Cuomo.” This will be his fifth visit as a participating filmmaker to the Wild & Scenic Film Festival. He wrote and directed “Dear Governor Brown”. “Dear Governor Brown” will be shown throughout North America beginning in February 2016. Watch for upcoming additional screenings here. Pamela Biery’s independent film reviews have appeared in Sierra Club’s Green Life, Orion magazine’s blog, Sacramento News & Review, gtweekly.com/, crosscut.com and yubanet.com. Film festivals covered include Wild & Scenic Film Festival, Seattle Independent Film Festival and the Santa Cruz Film Festival. See PamelaB.com for other articles and information. I urge you to authorize the study for salmon habitat and repopulation on the Yuba River. I recognize the tremendous sensitivity to water supply in these drought conditions and seek inclusive processes that allow for responsible governing, water supply and the preservation and restoration of resources, which includes native species. Salmon numbers have dropped from 1 million 100 years ago to just a few thousand today. In 2002, almost 70,000 salmon died in front of the Native Americans due to water control issues. The decline of salmon should startle us into action, but has it? Salmon is and always will be a personal issue for me. Life is personal. Habitat is personal. Quality of life includes the species that were here thousands of years before us. If we do not provide habitat for threatened species, what lays ahead for children, our grandchildren and us? 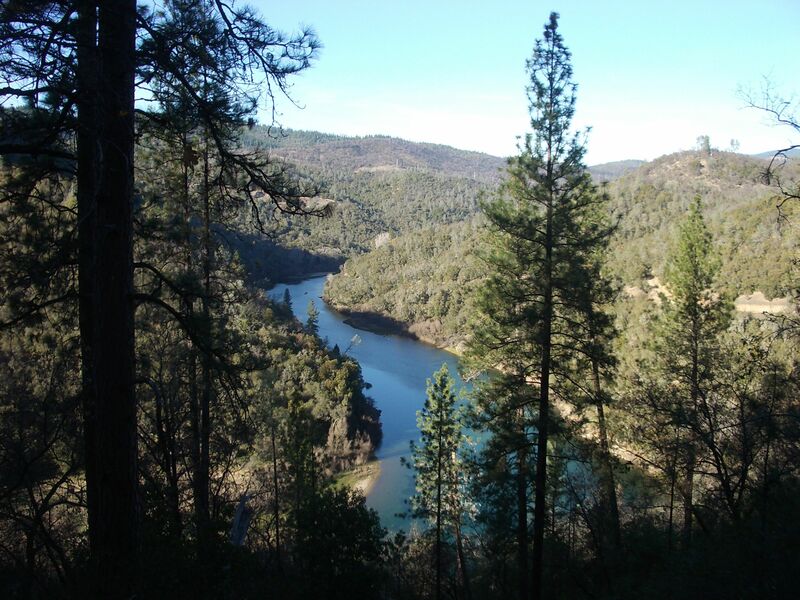 The Yuba River is Nevada County’s water source, running from the Sierra to the Valley. Please take steps to restore the Yuba as a vital fishery, protecting habitat, water and the future for threatened species. Authorize the initial study proposed by John Garamendi for fish passage and accommodations. As governing agencies, be prepared to act to include salmon and fisheries in water resource planning with the immediacy that is appropriate to the drastic need. 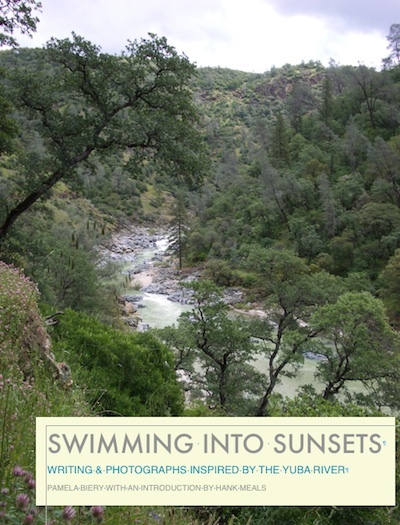 The Yuba River is an essential part of my home. Protecting fisheries is protecting water resources and our critical life source. Thank you for taking appropriate action. These conversations, notes and interviews eventually became an article, just out in Sierra Heritage magazine. The process of writing became a great study for creating environmental change, as I saw how many key connections in the Sierra had grown through a core group of concerned and skilled business folk. If you or someone you know wants higher engagement and better inclusive solutions for people, planet and profit, then SBC seeks your participation. This event is for local businesses, educators, active citizens and community workers. Speakers include Van Jones and Terry Tempest Williams. Alex Bogusky, former Crispin Porter + Bogusky Creative Director, one-time star of Madison Avenue, saw these signs as a communication challenge, reducing the essence of advertising to the most basic premise. A few years back, he started collecting them, buying them from their makers, often for around $10. Bogusky’s accolades include Creative Director of the Decade, so named by Adweek magazine’s Best of 2000s, and induction to the American Advertising Federation’s Hall of Achievement. Since leaving the agency in 2010, Bogusky has been using his skills for sustainable change as a founding partner at Common and FearLess Cottage. Good Karma $1 really began as a fascination by Alex Bogusky with street-level philanthropy and communication that happens through windshields and open car windows. Media team Kids At Play saw a break in their schedule and flew to Boulder, Colorado, where Bogusky is currently based, to take a closer look and film this documentary, a rare opportunity to direct with full charge of a creative project. 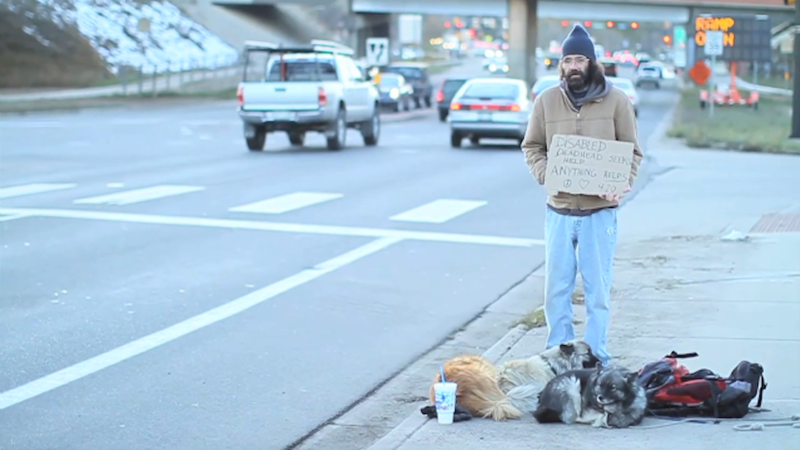 In the most classic documentary formula, the filmmakers became not just narrators, but they found themselves evolving with the story as a ribbon of exchange developed between themselves, Bogusky and the homeless sign-bearers being interviewed. Bogusky’s notion was a basic one, one advertisers face each day: can these signs be designed, stated or presented in a way to make more money? Director Amy Laslett found that at a certain point, the team understood that Good Karma $1 was not about signs, but about the people holding these signs and the barriers we put up to avoid confronting uncomfortable realities in our communities. 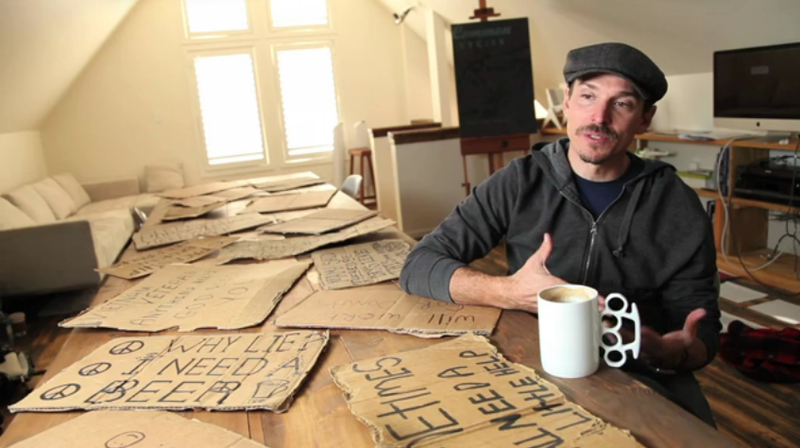 On one of the last days of shooting, Bogusky took to the street with his own sign as a test for his advertising skill. Although well dressed and known in the community, when a colleague he knew well drove past, he failed to see the waving and smiling Bogusky. This was a lesson Bogusky and the film crew did not expect to learn—for many, holding a sign means becoming completely invisible. Future plans being considered include a touring exhibit of the signs, online resources and possible airtime on cable television (yes, you can request on HBO, Current TV or Ovation). The filmmakers would like to see the discussion continue into the educational realm as well, possibly supplementing curriculum in middle grade or high schools. Good Karma $1 left me with a greater understanding of daily habits that insulate me from the world I live in. A worthy view. In a few short minutes, smile, shed a tear and open the window to fellow humans. Kids At Play (KAP) is a one-stop production company that creates content for motion picture, television and digital mediums. KAP team is young, eager, creative – and nimble, allowing for immediate starts on some of the most compelling projects in video. Good Karma $1 screening inquiries can be directed to play@kidsatplaymedia.com. Watch for articles from me at Yubanet.com, like this one on Bill McKibben and also guest blog spots at Orion Magazine blog and Sierra Club’s Movie Review Friday. There is much afoot, and I’ll be posting links here from time on work occurring across the boards, including footnotes on social—which filters through my twitter feed on these pages. 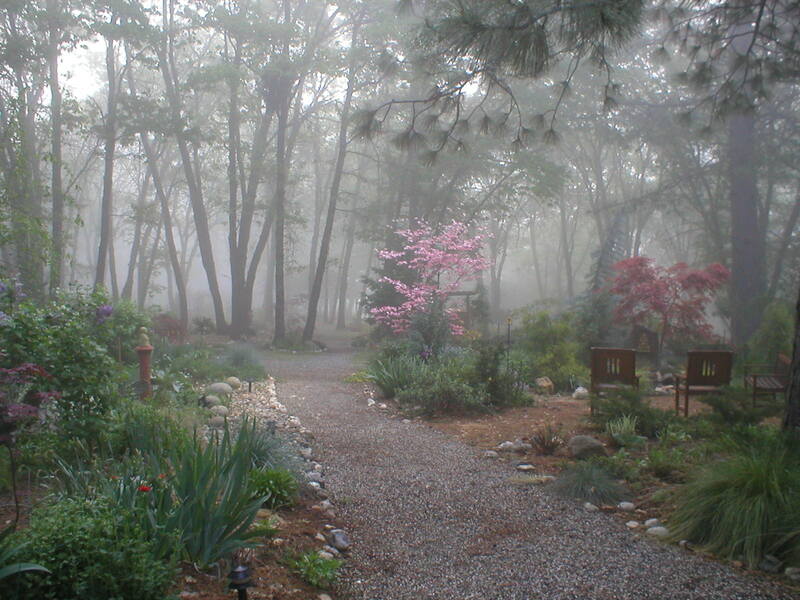 Happy spring and may your garden be filled with fragrant blossoms.